"Keeping You Warm in the Winter"
No matter the size of your space, Ronnie Jones AC and Heating has a furnacter the scope of your project, we pledge to complete our work on time and within budget. It’s all part of our pledge to serve our customers well ande installation option suited for you. We work with the most reputable suppliers of heating systems in the industry. We offer a variety of makes and models and no mat earn their trust. Click to book an ONLINE APPOINTMENT. Many people tend to ignore or forget about their furnaces until they stop working. When your furnace stops functioning properly you’ll want an experienced professional’s help to make sure the problem doesn’t get worse. At Ronnie Jones AC & Heating we constantly aim to provide top quality furnace repair. We have been serving the Temecula and Riverside communities for over 25 years. When you hire us you’ll benefit from our knowledgeable, courteous and friendly HVAC professionals at affordable pricing. No matter how extensive your furnace repair job happens to be, we pledge to complete it on time, so that you can get back to your regular routine. 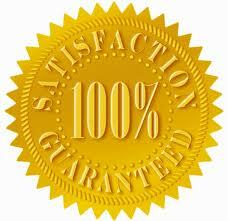 With Ronnie Jones AC and Heating you can rest assured that a quality heating system will be installed in your home. We’ll give you a customized quote in writing with our competitive rates, and we’ll complete excellent work to satisfy your need for warm air in your home or business. When your existing heater needs to be replaced and you’re wondering who to contact in the Temecula, Murrieta and Riverside areas, Ronnie Jones AC and Heating is the right choice. We’ll work tirelessly to impress you with our efforts. Give us a call for an appointment: 909-322-9264.